Does the script include a stop-start feature? yes. the instances are automatically stopped and started after Ami is created. You can also easily change to avoid rebooting server if you want! Thanks very much for sharing this. Worked great! Test run of L-function completed successfully, but it didnt created any AMIs.. I’ve created all tags as said here. The area below shows the result returned by your function execution. Learn more about returning results from your function. 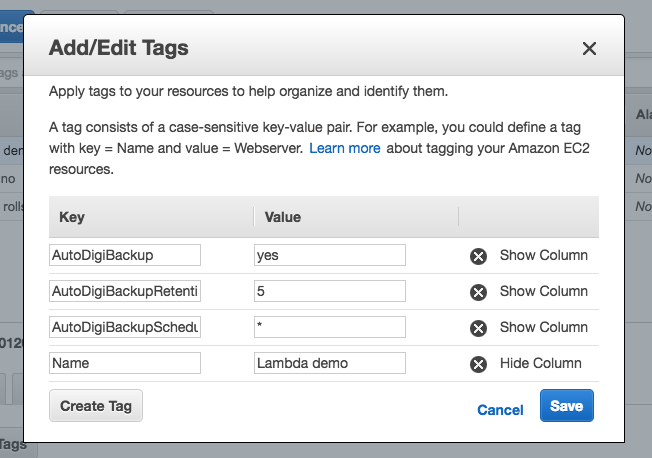 Also will it create “Name” Tag in AMI’s that will match up with instance name ? 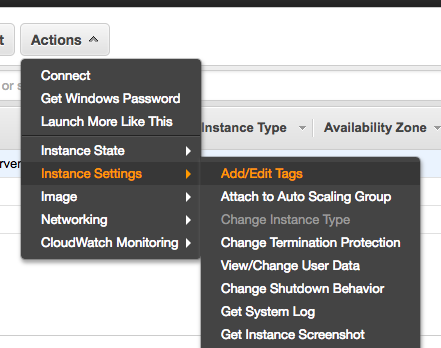 or do we need to identify the AMI based on instance id ? 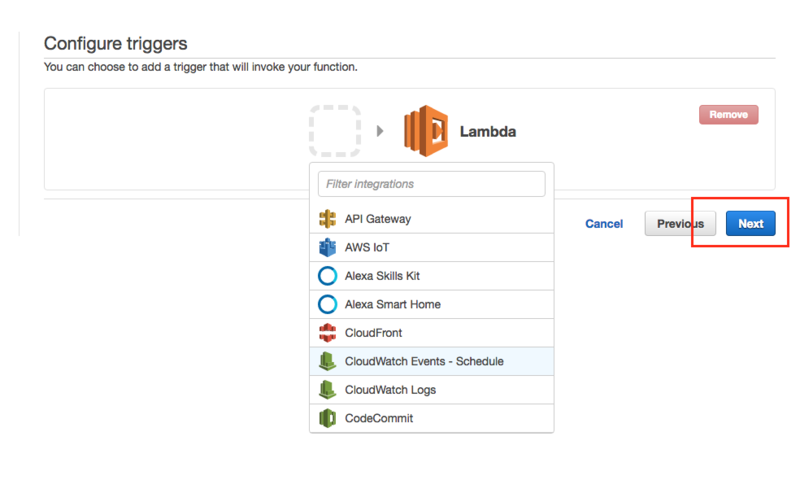 Do you have the lambda in same region? 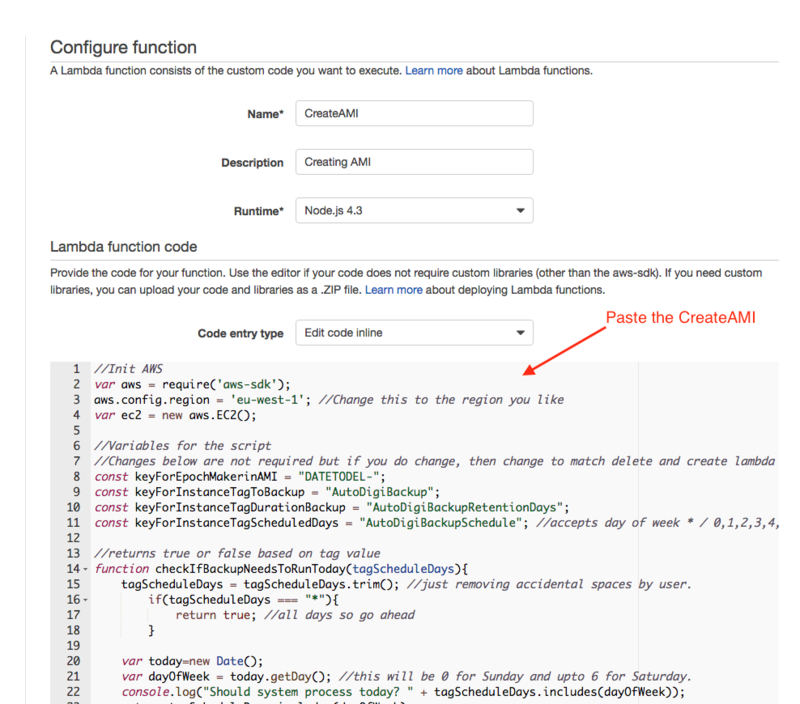 did you add the role as mentioned for lambda to access? if both above were set then please open a github issue on the repo for this project link in the post. I am manually testing/running the scripts. I put /* jshint loopfunc:true */ just before the function to suppress the alert. Question 1: Is there any problem with the function where it is or should the scripts be updated? I ran the scripts successfully. 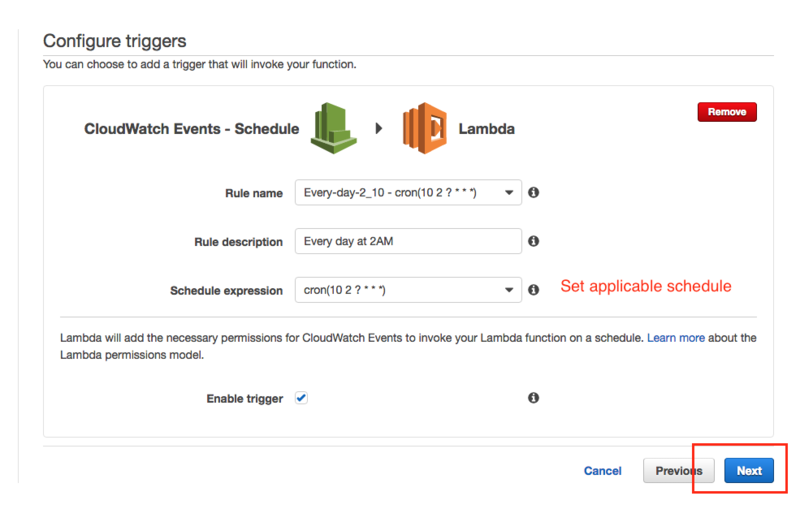 I created two AMIs for the same EC2. Question 2: Is it normal to have 2 per AMI or is this because of the function nesting within the loop? Answer 1) What is the value of AutoDigiBackupRetentionDays set? The deletion happens based on the number of days set. Answer 2) You should only have one AMI per run. Is it possible that it was triggered twice? 1) Originally set to 14. Can this value be changed after creating an AMI? So if you set the tag to 14 and later to 1, will the script delete all AMIs older than 1 day? 2) I don’t think it’s running twice. I’m selecting the Lambda Test button. 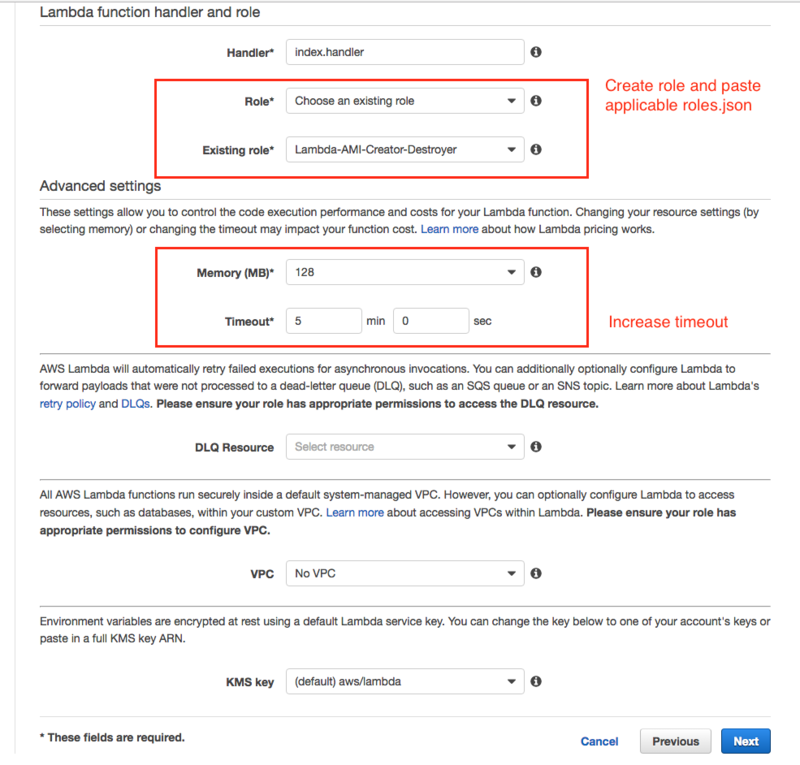 1) Yes the value can be changed but it will only affect newer AMIs created. 2) Please do let me know if this happens again as all our tests only creates this once. 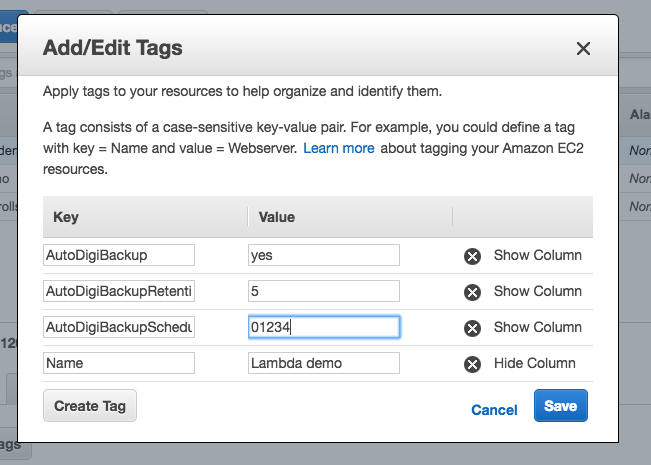 To be clear, the script isn’t creating two AMIs per EC2 instance. I stated I created two on purpose. I’ve just created a new AMI with 1 day delete set and will try the delete script again after 1 day. If I wait, say, 3 days and run the delete script, will it delete the new AMI that was created with the 1 day deletion parameter? If I should email directly and/or not put all this on this page, let me know. Ok, thanks for that. It clears up that the AMI creation works as expected. Regarding deletion, the number of days set for deletion is used at the time of creation of the AMI. So if you have set a tag to store the AMI for 3 days then that is used when the AMI is created. So if you change it back to 1 day it will only affect AMIs that you create in the future. It is best to please leave a comment on the github page for any issues you find.